Post subject: Trunk reflector restoration? I've looked and I've looked and there is almost nothing on this issue besides buying another used trunk reflector. I've got some serious cosmetic issues with my rear reflector. Its de-laminated on all three sides but is fine on the bottom and its let water and dirt in between the reflector and the clear plastic. 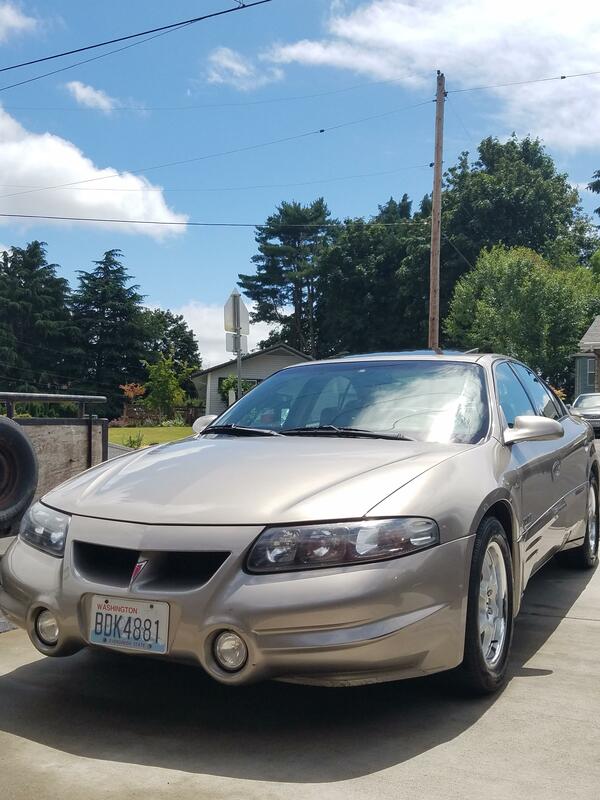 Im sure everyone here is pretty aware of the problem, every single Bonneville 00-05 I've seen in person had some de-lamination on it. Im wondering if someone has actually managed to take off the clear plastic and clean the thing and reseal it with some sort of clear epoxy or something. I've seen a few people mention it on the GM forums and a thread on this forum and the answer is: Buy a new one! But There are not many out there, and all the ones ive seen for sale are atleast a little de-laminated and expensive. I happen to have an extra one so im going to try anything with that but I'd like to take off the plastic ( you can not pry it off, has to be cut) and clean the inside well and reseal it at the edges preferably with something that dries clear. If anyone has some experience with this let me know, It really looks terrible and detracts from the car. If you guys would like photos let me know I could definitely show you some, though im sure most of you know what it looks like already. I might try to cut the plastic off with a small dremil and cutting disks and reseal it unless someone has any other ideas, and if it goes well I could document the process aswell. Post subject: Re: Trunk reflector restoration? It is a big problem, however not 'every' Bonneville has delamination problems. I suppose I can try it when i get some free time... Any ideas on how to reseal the edges? I would use jb weld and bond it evenly around corners and silicon adhesive( permatex) to keep it water proof.